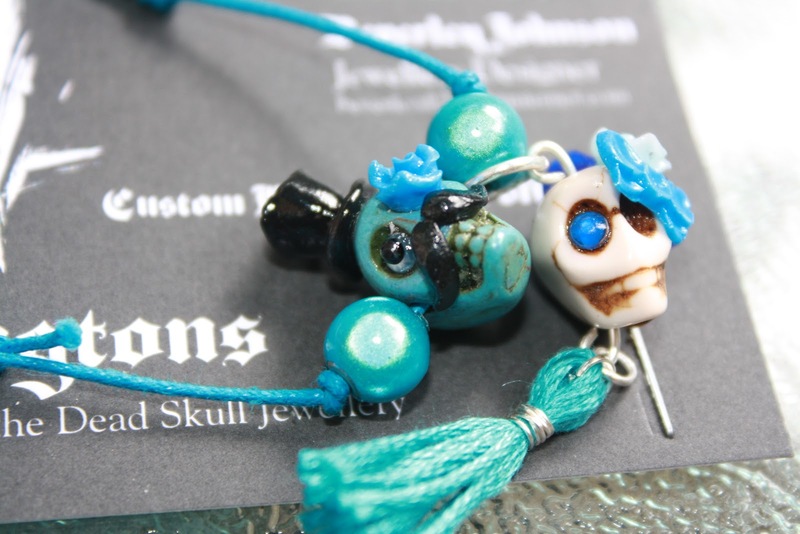 I have Twitter to thank for introducing me to the cute, unique and oh so quirky world of Skellingtons Handmade Day of the Dead Skull Jewellery. After perusing the brand's Asos Marketplace collection I was instantly hooked by the whole Skellingtons vibe. 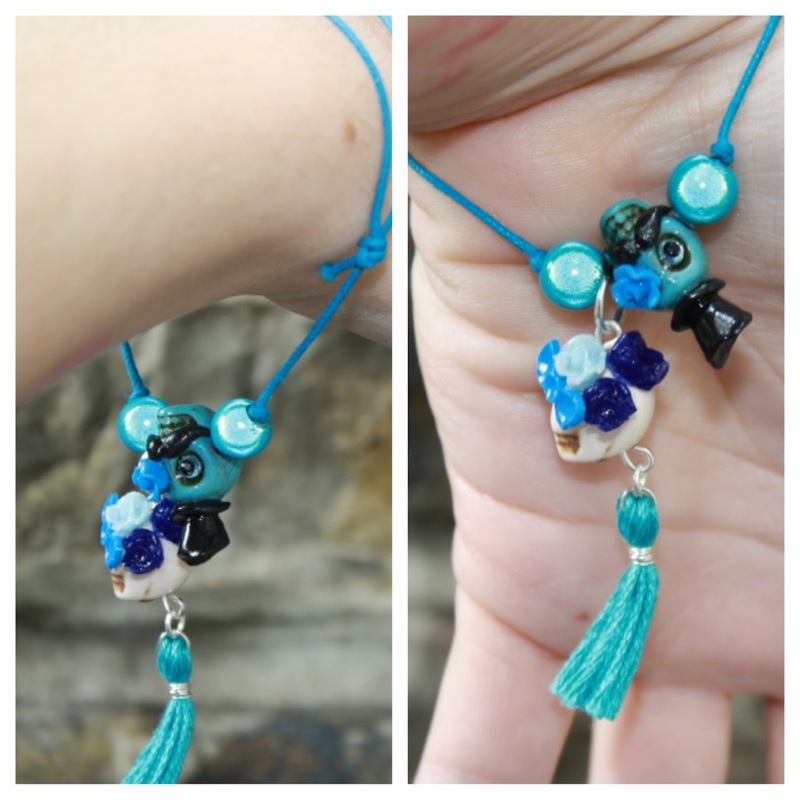 Skulls are massively popular on the high street at the moment, but Skellingtons jewellery is way ahead of the fashion pack as they offer up vibrant and playful custom made and one off pieces. Inspired by Mexico's Day of the Dead celebrations, designer Bev Johnson creates rings, necklaces, bracelets, earrings and more that add a little something special (and a tad spooky) to your outfit. 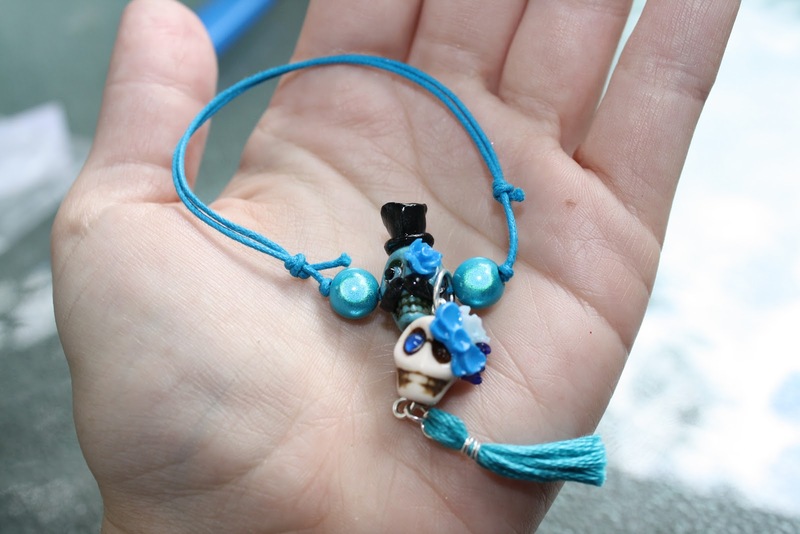 The pieces feature a gorgeous combination of skulls, beads, flowers and jewels to reflect the traditional decorations of the Mexican celebration. 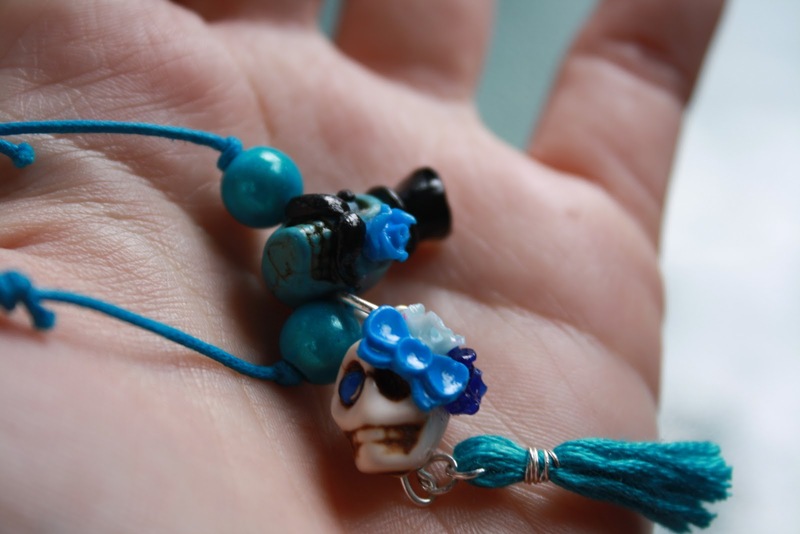 The morbidly cute skull beads are formed from semi precious howlite (a 'stress relieving' stone for those interested in crystal healing) and each one is unique, so therefore no two pieces of Skellingtons jewellery is the same. Cool, yes? 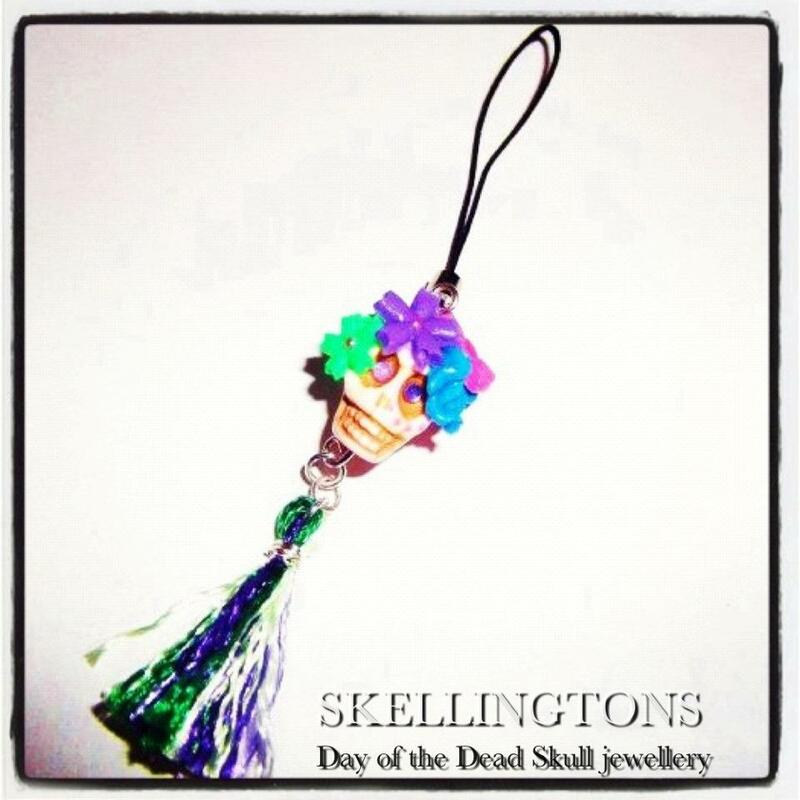 With prices starting as low as £3.50, I recommend you click on over and grab a Skellingtons piece of your own! I don't normally go for skulls, but the phone charm really caught my eye!